Once you start to get informed about bariatric procedures, you might have some doubts related with the follow-up care after surgery. As a big recommendation, no matter which doctor or surgeon you choose, its crucial to follow his/her guidelines as prescribed; there’s a reason why they are providing you a special diet and instructions to follow, so every time you think about changing an element of your post-op care, please get in contact with you main physician or surgeon. 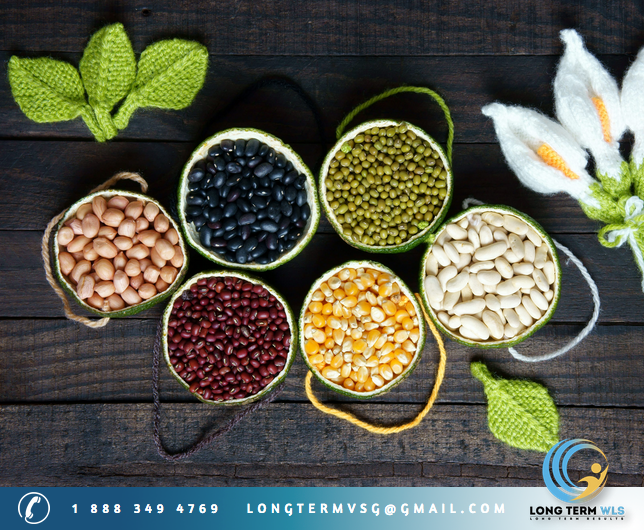 To talk about malnutrition, we need to establish what this is all about… This condition occurs due the lack of macronutrients (Calorie intake from protein, carbs or fat) and/or micronutrients (Vitamins and minerals). The effects of malnutrition range from unnoticeable to severe, affecting your weight loss goals and mostly important, your health. Prevention is the key! You don’t have to wait for signs to start doing something about it; in fact you should take very serious your daily food and vitamin intake, especially during a major weight loss phase... First, stick to a diet rich in high nutrient foods, this means eating from 5-6 times a day, fruits, vegetables and ample lean protein, avoiding empty calories from processed food, sugar and beverages. (That you don’t feel hunger doesn’t mean that you don’t have to eat, your body needs enough energy to keep functioning properly). Second, add supplements to your daily diet! 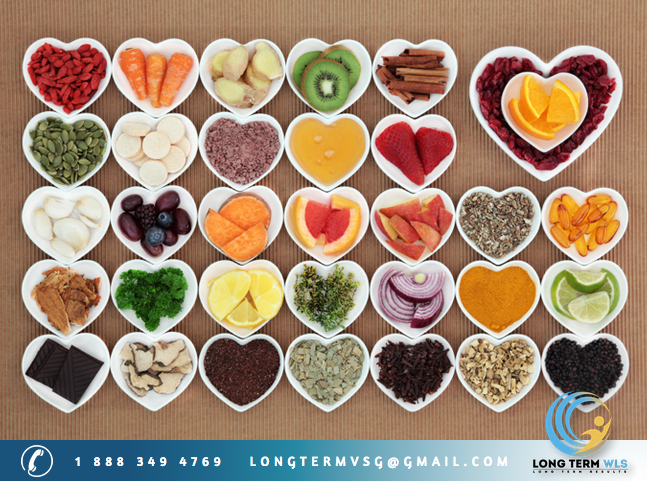 These may be prescribed by your doctor, if not, get some extra help and visit a local pharmacy or shop where vitamins are sold, and choose a presentation that works better for you personal needs and lifestyle. And third, but not least important; blood work! It’s very important to monitor your health and realize a blood/lab test every 6 months after bariatric surgery. This is in order to check your health and take better decisions to continue with a healthy weight loss and lifestyle. In conclusion, having weight loss surgery is not going to cause a malnutrition problem to the patient… skipping meals, eating the wrong food and not taking vitamins its what can lead you to this health condition, even though you have or haven’t went trough bariatric surgery. Understanding the risk of malnutrition, taking steps to prevent and acting quickly when signs of malnutrition appears, can mean a substantial improvement on healthy and long-term weight loss. After-gastric sleeve-surgery diet: clear liquid diet vs. full liquid diet. Patients who decide to go under bariatric surgery with Long Term WLS/VSG have to start getting ready for their procedure weeks ahead. One key element for this preparation is the stages of diets they have to follow. We have already talked about our pre-op diet, now we want to provide some information regarding post operation. Once the procedure is done, patients must do a two-step liquid diet and a third and last step with mushy food or blended solids. The first phase consists on a clear liquid diet followed by a regular or full liquid diet. This difference can be confusing sometimes, so let’s explain it a little. A clear liquid diet is prescribed right after surgery, with the purpose of providing the body with the necessary nutrients, without making it hard for the stomach to digest them. As the surgery has just occurred, the tissue is still delicate and digestion of hard, solid food could turn into a lot of pain, sometimes even vomit. Medication pills should also be crushed before intake. The duration of this first phase is ten days. · Fruit juices without pulp, such as grape juice, filtered apple juice, and cranberry juice. · Soup broth (bouillon or consommé). · Light or sugarless gelatin. · Caffeine-free tea with no cream or milk added. · Sugar free sports or protein drinks that are transparent. · Juice with nectar or pulp, such as prune juice. · Caffeine drinks and sodas. Once the healing has progressed, what follows is the regular of full liquid diet, which is a middle step between a clear liquid diet and eating solid foods. This includes thicker, liquid foods as listed below. It is still easy to digest, meeting the calorie and protein needs of your body. The same rule as above applies: no sugar, caffeine or carbonated beverages. This diet should also be taken for ten days. The last and final step of the after surgery diet consists on blended solids o baby food for ten days also. Foods should have the consistency of a thick liquid (no chunks or solid material). Soft foods examples are soft boiled or scrambled eggs, tofu, low-fat cottage cheese, and sugar-free low-fat yogurt. Again no caffeine or carbonated beverages. After this step is done, you may continue to solid food as indicated by our surgeon. Once you are finished with all your diets, we recommend you maintain an active, healthy lifestyle, along with high protein nutrition. If you consider it necessary, you can always be under the care of a nutritionist. 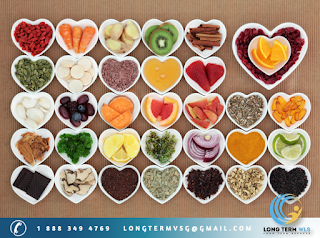 At Long Term WLS/VSG, we always look after your well being. This advice and your proper care will help you achieve positive and long lasting changes in your life. 10 commandments of bariatric eating! 1. - You shall eat all your protein first: Protein rich foods delay stomach emptying and will help keep you feeling full long after you're done with your meal. Post bariatric eating involves protein at every meal and snack. Be sure to eat your protein first and avoid filling up on other foods and leaving no room for your protein! 2.- You shall eat solid foods over soft, mushy, or liquid foods: Solid foods will fill up your pouch and stay in your pouch longer than soft, mushy, or liquid foods do. You'll require more food to feel full when the consistency of your meal is soft, mushy or liquid. More food = more calories = slower weight loss! Examples of "solid" foods: chicken, turkey, fish, beans, whole fruits and vegetables, salad, whole wheat bread, brown rice, etc. Examples of soft, mushy, or liquid foods: soup, Frappuccino, milkshakes, ice cream, etc. 3. - Avoid eating and drinking at the same time: Solid food + liquid beverage = slushy, mushy consistency. Also creates a full sensation which is not good and doesn’t allow you to get all the nutrients. 4. - You shall avoid drinks/liquids with calories: After bariatric surgery, the liquids pass through the pouch fairly quickly without giving you a feeling of fullness or satisfaction. Drinks like regular soda pop, juice, milkshakes, coffee drinks, and sweetened beverages contain a lot of calories. You can drink a lot of liquids without getting full and that means you can take in a lot of calories without ever feeling full if you're not careful to choose zero calorie beverages. 5. - You shall take small bites: Take bites only as big as a pea, pencil eraser, or a dime when eating after bariatric surgery. A small bite of food in your mouth guarantees only a small bite of food will find its way down to your stomach. Having only a small amount of food trying to pass a gastric sleeve will lessen your chances of causing an obstruction. 6. - You shall chew thoroughly: Chewing thoroughly help you slow down, avoid overeating, and minimize the chance of obstruction caused by large food particles. Bariatric surgery eating requires that you chew each bite 25-30 times or until the food in your mouth is unidentifiable. 7. - You shall eat slowly: This will prevent you from overeating which can cause you to vomit and/or cause your pouch to stretch. A stretched pouch means you'll need more food to feel full. Try putting your fork or spoon down between bites and allow 20-30 minutes to finish a meal. 8. - You shall stop eating once you are full: Persistent over eating after bariatric surgery can also cause your pouch to stretch which means you'll need larger portions of food to feel full. 9. - You shall stay Hydrated: Drink 6-8 cups of calorie free fluid every day. 10. - You shall take your daily vitamins: Good quality bariatric vitamins are essential so remember to take them daily. Carbonated Drinks & why you shouldn’t drink them! A carbonated drink is a drink that bubbles and fizzes with carbon dioxide gas. There is a natural process (Mineral Water) and also the man-made process (canned mineral water, soft drink or soda). ...But, are they bad? The overconsumption of sugar-sweetened soft drinks is associated with obesity, type 2 diabetes, dental caries, and low nutrient levels. Experimental studies tend to support a causal role for sugar-sweetened soft drinks in these ailments, though this is challenged by other researchers. "Sugar-sweetened" includes drinks that use high-fructose corn syrup, as well as those using sucrose. Many soft drinks contain ingredients that are themselves sources of concern: caffeine is linked to anxiety and sleep disruption when consumed in excess, and some critics question the health effects of added sugars and artificial sweeteners. Sodium benzoate has been investigated by researchers at University of Sheffield as a possible cause of DNA damage and hyperactivity. Other substances have negative health effects, but are present in such small quantities that they are unlikely to pose any substantial health risk provided that the beverages are consumed only in moderation. The consumption of sugar-sweetened beverages is associated with weight and obesity, and changes in consumption can help predict changes in weight. Now that you know how Soda or soft drinks affect your health let’s talk about how it also is a bad choice after Weight Loss Surgery... Due to the gas that this types of drinks have in them they can hurt your stomach also they create a sensation of fullness (or bloating symptom) which can prevent you from eating your meal at your planned schedule and makes you feel uncomfortable, also due to the fact that they have sugar added (even if they are Light) they can stop the weight loss process and get you into a stall. So avoid them if you want a better achievement on your weight loss journey. Once you are out of bariatric surgery and start losing weight you’ll be healthier, you’ll feel better and you’ll look better, for many patients that’s all they could want or hope for... But the extra skin that many patients have after wls, leads them to consider reconstructive plastic surgery. In addition to improving your appearance, patients often take this route for medical reasons including rashes and problems maintaining hygiene between the skin folds. Entire body (Total body lift) But before rushing to get your cosmetic surgery it is really important that you wait about a year or two. You might be wondering why? Because after a year or two you’ve already lost as much weight as the surgery let you, so after all that time you already know how to eat healthy and also how to take care of your body which is really important after a cosmetic surgery. Remember that the recovery after a weight loss surgery does involve careful attention so sticking to what the doctor instructs is the best option and this will allow you to heal better and also your stomach will heal better. Weak or tired feeling – should also pass with time, especially once your new bariatric diet is in place and, as soon as you are feeling up to it, begin your exercise program. Gas – also diet related. Dumping syndrome, especially after gastric bypass, is caused by rapid emptying of your stomach after a meal. Symptoms include weakness, dizziness, flushing and warmth, nausea and palpitation immediately or shortly after eating. If you don’t adopt the right habits, this problem can continue over the long-term. Gurgling noises – not necessarily uncomfortable, but it’s worth noting. Gurgling noises are completely normal and are due to the different way your new digestive system pushes air through. The best way to prevent gurgling noises is to avoid swallowing air (i.e. avoid carbonated beverages, sipping through a straw, eating or drinking too quickly and chewing gum). Your emotional state may also be a little shaky immediately following surgery. It’s common for patients to feel scared, uncertain or moody due to hormonal changes and to the emotional effects of adjusting to a new life after weight loss surgery. Hair loss this can be an alarming side effect of rapid weight loss, but it is only temporary. It happens in about half of all patients in the year following surgery. Proper nutrition is the best defense, including protein and the right bariatric vitamins. Several other treatments can also help, including the application of special shampoos and oils (Nioxin shampoo, flax seed oil, biotin tablets or powder). It typically takes patients anywhere from two to six weeks to start feeling balanced and back to normal again. 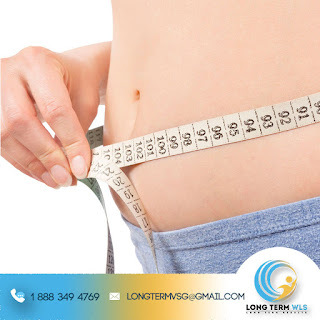 After getting through the bariatric surgery recovery phase, following are the ways that your life after weight loss surgery will be permanently changed. In general, the diet includes foods that are high in protein, and low in fat, fiber, calories, and sugar. 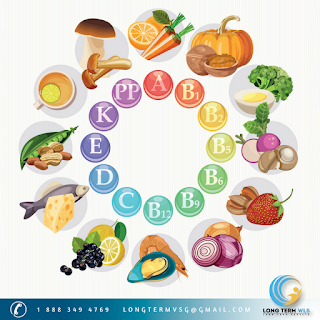 Important vitamins and minerals are provided as supplements. It is also crucial to get enough protein right after surgery, to make sure that wounds heal properly and over the long term, to preserve muscle tissue. Too much fat delays emptying of the stomach and may cause reflux, nausea, stomach discomfort, or diarrhea. Sugary foods like candies, cookies, ice cream, milkshakes or soft drinks, sweetened juices, and most desserts are foods high in calories and fat, and they can promotes dumping syndrome in some patients with by-passed stomach. The first phase of the restricted diet, after the operation, consists in clear liquids for 2-3 days. And then followed by phase two a low-fat full liquid with high protein content (At least 60 g/day) for 2 to 4 weeks. Liquid yogurt based-diet, preferable with added protein or commercial products of enteral nutrition vs. formula-diet (as usual in the very low calorie-diet) are some of the alternatives at this period. Soft/blended diets are indicated 4-6 weeks after discharge (some patients may need to wait longer). The puree diet includes very soft, high-protein foods like egg, low-fat cheese, or blenderized lean meats like chicken, veal or pork and fish (red meats are usually less tolerated). The regular diet starts about 12 weeks or later after bariatric surgery... It is important to start with high-protein foods, like white eggs, lean meats, cheese or milk, at every meal. Each meal should take between 20-30 min, in much smaller amounts (50-100 g), and chewing carefully. Fluids should be consumed on a near-constant basis; sip slowing but only in between meals. It will be necessary to contact to a dietician for advice on planning an individualized regular diet pattern, and management of lifestyle changes. Remember to follow the meal to make sure that you lose more weight and also to create a better eating habit, once you learn to eat better and healthier you will feel better and prevent future digestive problems. 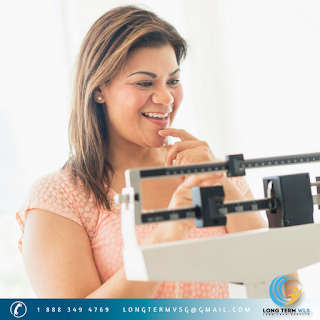 Its pretty common to have doubts and concerns before and after weight loss surgery, so we asked to our patients their most frequent concerns related with surgery..
Why have I been requested to lose weight prior to surgery? A: It’s not that you have to lose weight the pre-op diet that we provide is focused to reduce your liver size and prevent any risk during surgery, also it helps you to have a better and faster recovery. A: The hospitalization is typically 3 days and 2 night stay. The recovery period varies, but some patients return to work within a few weeks after the operation. Their only restriction is no heavy lifting for six weeks after the operation. How often will I come back for checkups? A: Unless you live close by every six months if not do general blood test every six months just to check that your levels are normal. 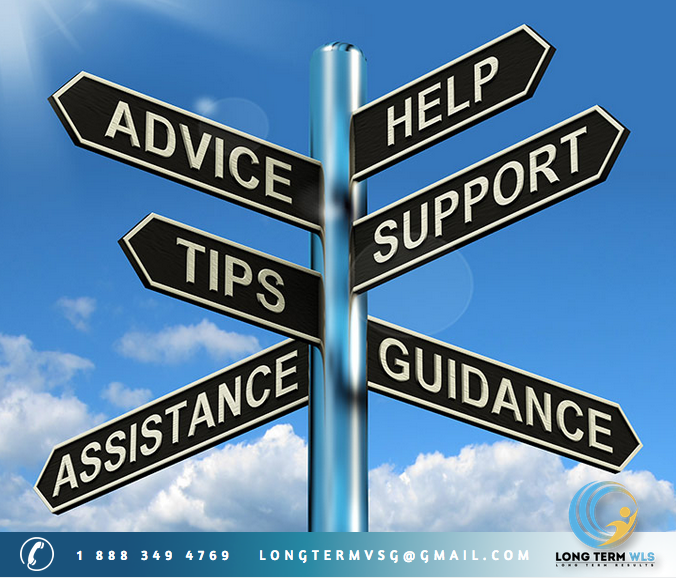 We also recommend patients stay as connected to the program as possible by attending support groups regularly. So stay in touch on our Facebook group. What should I do if I am feeling nauseous? A: First look at your eating behavior. You may be eating too much and/or too fast. It is also very important to keep food records to see if this is related to certain foods. Also contact us or our nutritionist if issue continues. A: Protein is essential after surgery to help the healing process, and preserve your lean body mass (muscles). Meeting your protein goals is essential, and you also want to EAT YOUR PROTEIN FIRST! What if I am vomiting? - Are you eating your food too quickly? - Note the texture of the food. Is it too dry? Most often you will find meats difficult to tolerate. Make sure your meat is moist. If you are still not tolerating them, you can make substitutions for these foods. Leave them out of your diet for a few weeks and try them again at a later date. - Are you chewing your food well? Enjoy, feel, and taste every bite. - Remember to drink fluids separately. - Do not eat and drink at the same time. Wait approximately 30 minutes before and after a meal to drink liquids. Most often liquids fill you up and may cause distress, making you feel like you need to vomit. - Alcohol and coffee create an acid environment in your stomach and can produce vomit. - Dinner after 7 pm also is important to be aware of. A: It is important to maintain fluids intake of about 64 ounces or more per day. This will help maintain the appropriate body levels of fluids and replace the losses from weight loss. You need to take small slow sips of fluids throughout the day. Fluids should have minimum calories, no caffeine and no carbonation. To help meet both nutrition and fluid goals you need to keep fluids separate from meals by at least 30 minutes. What is the size of my new stomach or pouch? Will I experience some hair loss? A: This happens on rare occasions it's more common on the gastric bypass. Sometimes after surgery patient will complain of hair loss. It can be related to not getting enough protein or vitamins in your diet. This is often the body’s response to rapid weight loss. 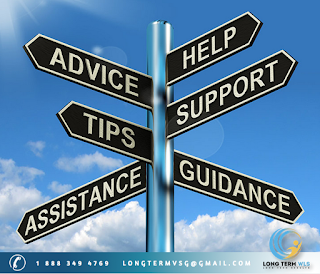 Hair loss is usually not permanent and re-growth typically occurs 3-6 months after it starts falling out. Talk to your dietitian if you are experiencing this. What should I do if I am having a problem with constipation? A: You may need to increase your fiber and fluid intake. Food records will help you quantify how much you are actually drinking. Adding a fiber supplement may help. If increasing fiber doesn’t help, you may try milk of magnesia, prune juice or stool softener. What do I do if I have gas and bloating? What if I have some diarrhea? A: Some patients may experience these symptoms due to sugar found in milk products called lactose. If you are intolerant to lactose, it may cause cramping, gas bloating, and/or diarrhea. Switch to lactic products or soy products. Also make sure you are not eating too much or too fast. Slow down your eating, take small bites and chew well... If you get a severe dehydration you need and IV, got to the ER to have it applied by a nurse or a doctor. What if my weight loss slows down? A: Your weight loss may seem like a staircase. You are also going to experience “plateaus” and this is normal. Everyone will lose weight at a different rate, so please do not compare yourself to other people. If you hit a plateau (not losing weight for longer than 2 weeks), continue to keep food records and track your exercise. You may need to adjust your diet or exercise to help with your weight loss. If a plateau last longer than 4 weeks call your dietitian. A: Often you may experience a lack of appetite after surgery. In turn this often causes patients to skip meals, depriving themselves of the nutritional needs. You will need to plan to have 4-6 small meals per day to meet your nutrition goals and have a successful weight loss. A: Almost flu-like symptoms (nausea, vomiting, sweating, bloating, diarrhea, etc.) that usually occur after high-fat or high sugary foods. The symptoms typically last about ½ hour. However, not everyone experiences dumping. To avoid these symptoms, you should select foods that have 14 grams of sugar or less per serving and 3-5 grams of fat or less per serving. A: Being compliant with your vitamins is key for your health, meeting your nutrition goals, and preventing deficiencies. We will test your labs periodically to help prevent and/or treat any deficiencies you may develop. Will I be able to take my prescribed medications after surgery? A: Small pills or capsules can be taken as before. Larger medications may be broken or crushed, or alternate medications may be prescribed. Check with the medical team or your prescribing physician's. What could be causing me to feel a tight feeling in the middle of my chest while I am eating or right after I eat? A: A tight feeling when eating is usually a warning sign that there is something about your eating behavior or food consistency that is not right. You may be overeating or eating too fast. Time yourself when you sit down to a meal. Remember it should take about 10 minutes to eat 1 oz food. Make sure that your food preparation methods and food consistencies are appropriate for your diet stages. When am I allowed to drive after my surgery? A: You are allowed to drive when you are no longer taking narcotics and have enough mobility to drive safe. A: You may return to work as soon as you feel able as long as you are not required to do heavy lifting as part of your job. Typically 2-6 weeks for most desk jobs, and 6-8 weeks for manual labor jobs.